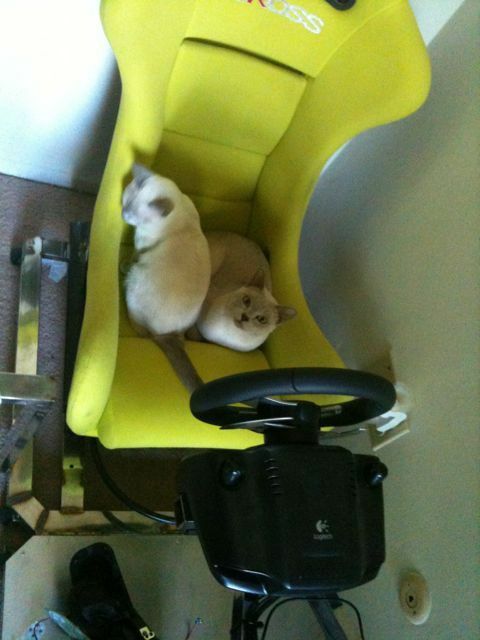 Came home from work this morning and found the kitties practicing their skills in the simulator! Sorry my posts are few and far between but Bryan beats me to everything! ~ by chiclulu on August 10, 2010.